J.R.R. Tolkien's The Hobbit - In The Irish Language! J.R.R. Tolkien’s The Hobbit – In The Irish Language! 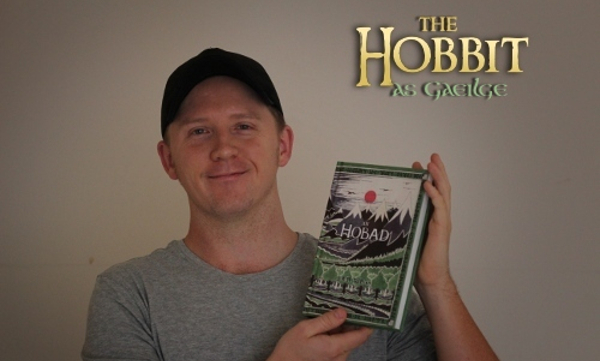 UPDATE: You can pick up a copy An Hobad (The Hobbit) in Irish right here. ALSO: Looking for the best Irish learning tools and resources? Check this out. Here’s a wonderful treat for Irish learners in the lead-up to the upcoming Peter Jackson film, The Hobbit. Not too long ago, I received the Irish language translation of one of my all-time favourite books, The Hobbit Or There And Back Again by J.R.R. Tolkien (An Hobad Nó Anonn Agus Ar Ais Arís as Gaeilge). As I’m a huge fan of the Tolkien books and Lord Of The Rings films I couldn’t not get a copy of this. Success in language learning depends largely on your own enjoyment of the process so this book is a welcome addition to my Irish language material. If you’re a serious Gaeilge learner and love Tolkien then this is a must-have. 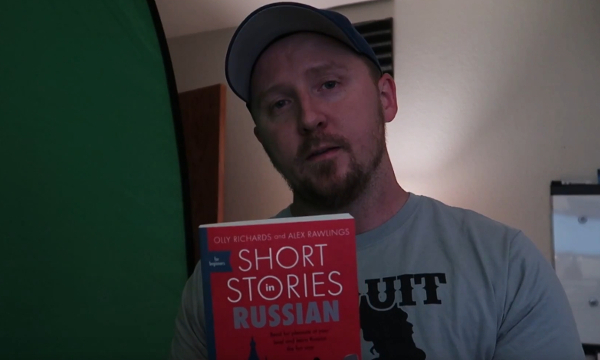 As I said in the video, it’s so full of rich, useful vocabulary and expressions that it’s an excellent tool for bringing your Irish up a notch. It’s selling on Amazon at the moment for about $33 (the price is a bit higher than normal because it’s a translation). Get a copy here. My hat goes off to Nicholas Williams for his hard work on this. Ehhh, that depends very much on the level of the learner. I recommend Harry Potter to people specifically because it’s written at around a 4th grade level, as I recall, thereby making it perfect for all but advanced language learners. If the language in The Hobbit is significantly more advanced (read: difficult) than that of Harry Potter then I would definitely still recommend it but for advanced learners only. What do you think? What’s the difficulty level of language in The Hobbit vs. Harry Potter? I do think Tolkien's language is a lot more dense and almost poetic in some places, but I'm finding that at my level (after 7 months) I'm able to work my way through it slowly. I wouldn't call it 'advanced' but definitely higher than 4th grade. Ok, cool, that makes sense. Thanks. I have enjoyed reading C.S. Lewis' Narnia series in German. The writing is simple and because I grew up reading them in English I can infer a lot of words without recourse to a dictionary. They have been published in many languages as well – not in Irish as far as I know, but they came out with the first three books in Welsh. I think it's so important, whatever you read in your target language, to read something you simply love. I hope I have time to read my copy of my German copy of Das Silmarillion (Tolkien's posthumous mythology few people have the patience for in English). It definitely floats my boat. What do other people enjoy reading? Do you like to read something new or reread something familiar? As a speaker of Irish I have to say that "An Hobad" is a much better book than the translation of Harry Potter. The Irish is much more natural and you would swear it was originally written in Irish. In particular the nuance of certain words of used correctly to capture the concepts originally in English. For example in the first chapter, Williams uses "Fine" to describe the extended family of Bilbo, where as a less skilled translator would use "muintir". There are several of these things throughout the book. So overall I would recommend it to learner over the Harry Potter translation as you are getting richer, more exact and more natural Irish. Tá sé le fáil sna síopaí leabhair anseo i mBaile Átha Cliath, agus bhí mé ag smaoineamh faoi cé acu ba chóir dom é a cheannach nó nár chóir. Tá sé beagán costasach i mo thuairimse, €40, agus nílim ach i mo mhac léinn bocht. B'fhéidir gur chóir dom fanacht chun m'airgead a spáráil.